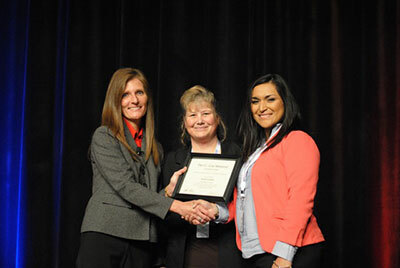 Sarah Castillo | Arkansas SHRM State Council, Inc.
Sarah Castillo received the 2017 J.C. Cote Scholarship. In one of Sarah's recommendation letters, it stated "Sarah is a single mother who has worked hard putting herself through school. She is bi‐lingual and is always willing to help with any communication barriers. Once Sarah has completed graduate school she will be a strong candidate in the workforce. Sarah is hardworking and dedicated to any task assigned to her. She has a very kind heart and does everything she can to help others. She is model individual for the human resources field. I believe if ARSHRM invests in Sarah, she will one day invest in ARSHRM." In Sarah's other recommendation letter, from her pastor, he states, "She is faithful in her church attendance, and serves in several capacities in our church including Director of Children's Ministries, Sunday School Teacher and Secretary. Her character and conduct are exemplary. She is a wonderful fit for Human Resources positions in that she is a logical thinker who can correctly apply HR policies and practices. She also possesses an empathy for people she comes in contact with."